Chris enjoys learning to do and make new things, from making picture frames for the family to remodeling houses, and anything in between. I have a lot of tools. 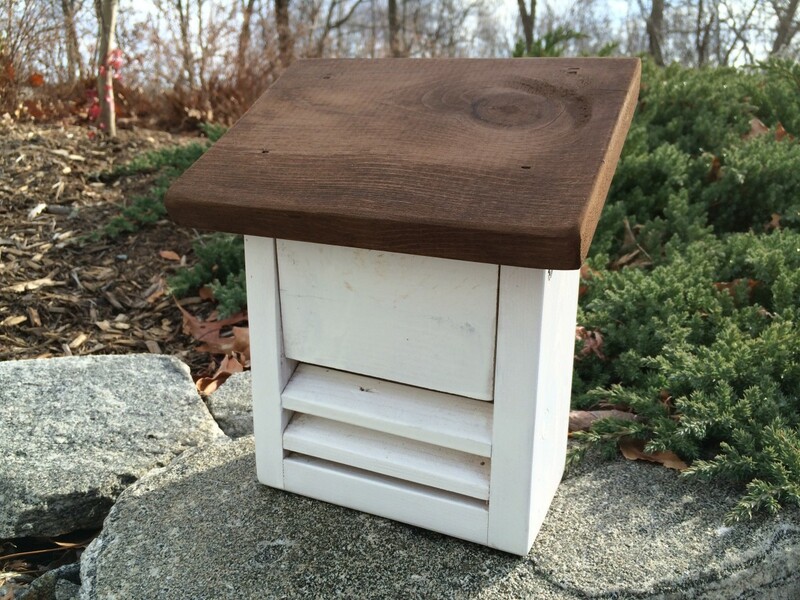 I have been doing woodworking since I was young and I always wanted another gadget of some sort. What I did not learn back then is that taking care of my tools was at least as important as knowing how to use them. If you can't keep your tools in excellent condition, then you won't be able to use them correctly. 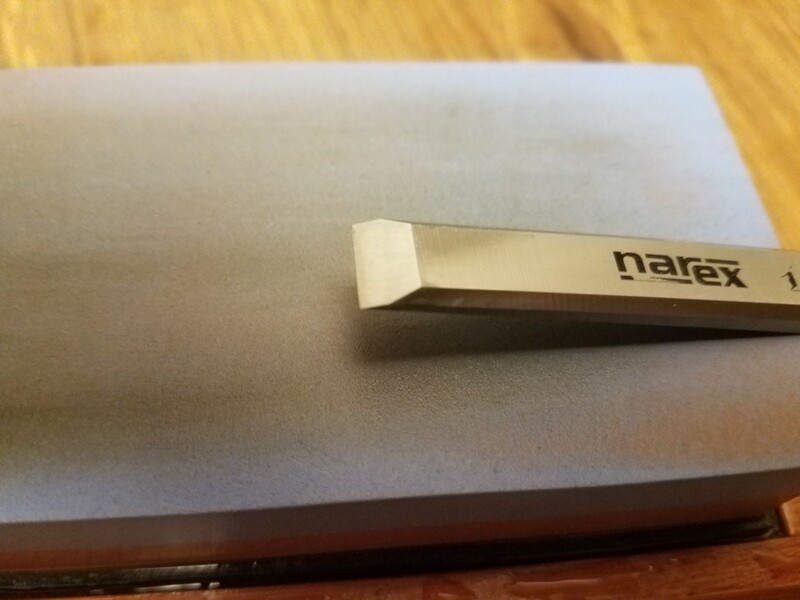 Since we are talking about chisels today, a chisel that isn't sharp and square won't cut as it is meant to and will create more work for you. 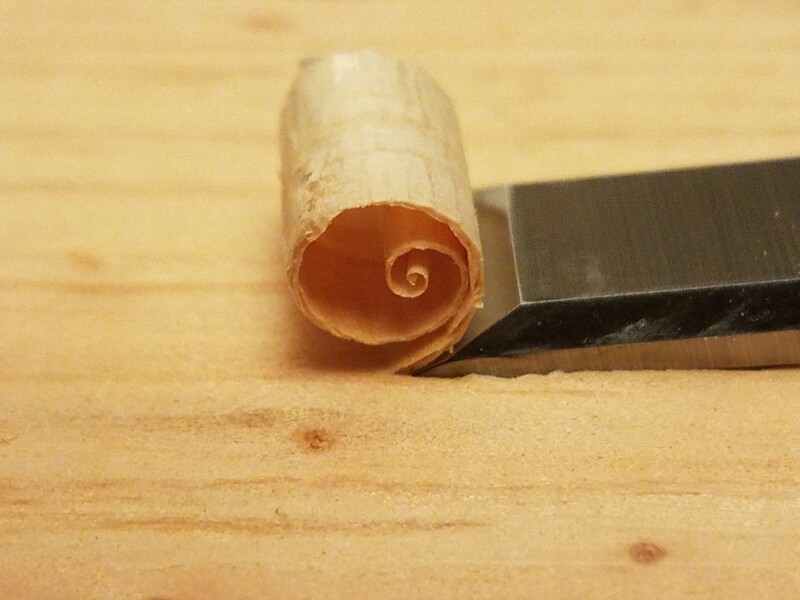 Learning to sharpen tools correctly is a great thing. It will make it possible for you to add to your collection through yard sales, estate sales, auctions, etc. and get a good-quality tool at a low price. Then you'll have to put in some elbow grease and restore these older tools for use. In this article, I'll share tips for preparing and honing new chisels so they're ready for use and will last longer. This will be what I am sharpening for this article. 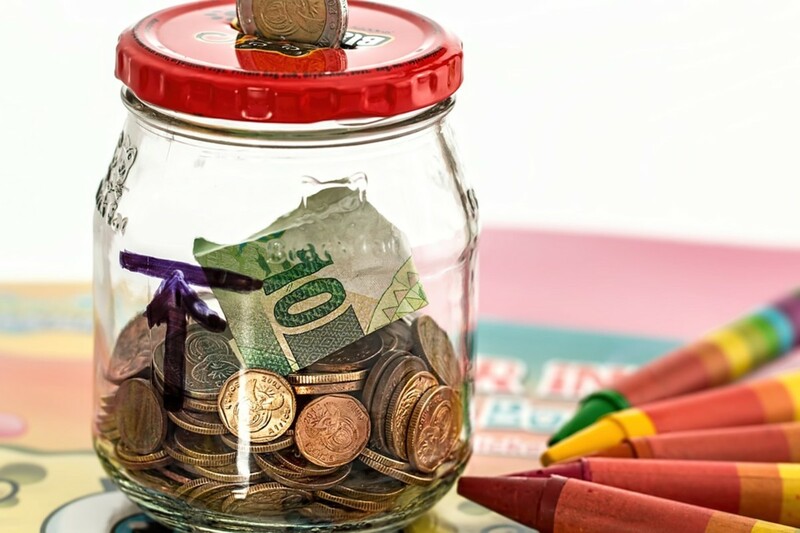 Choose a chisel that is in your budget, knowing that no matter which one you choose or can afford, it will need some preparation work to be used. Buy chisels that are as high-quality as you can afford. If you spend your money on just the chisels, how long before you can put them to use? I have purchased a twelve-piece set for $20.00, individual chisels, and a six-piece set for close to $100.00. There is a difference in steel quality, but aside from that they can all cut. 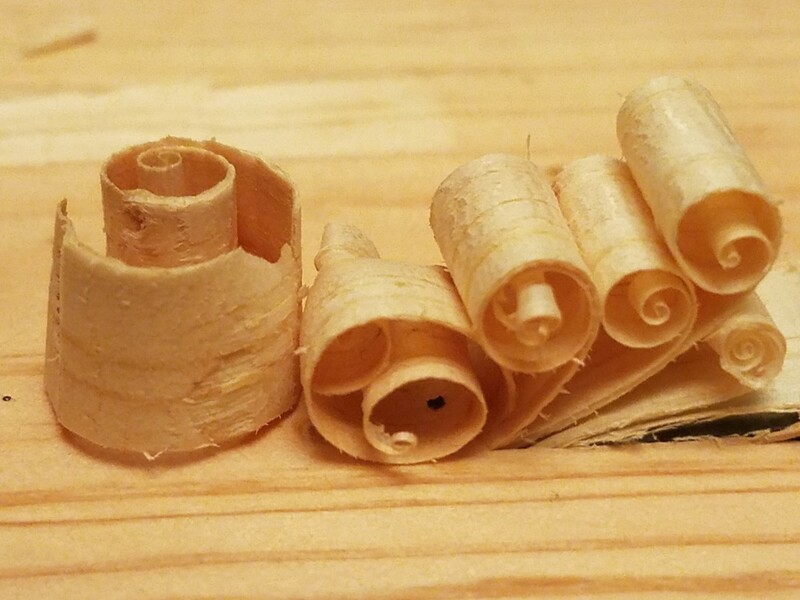 However, the preparation work for the cheapest was probably over an hour per chisel, while I had to spend only around twenty minutes to prepare the higher-quality ones. Once the initial preparation work is done, it should be honing from now on, which should only take minutes if that. What Is the Difference Between Different Chisels? 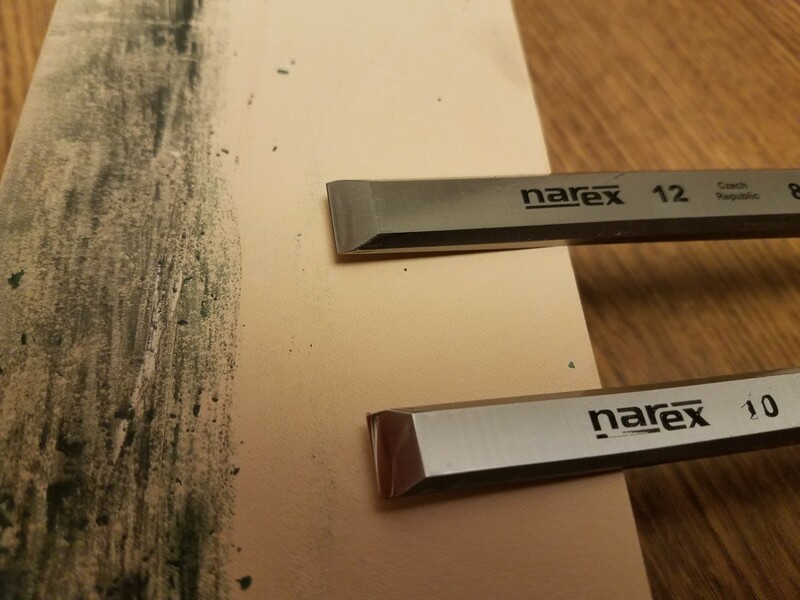 There are different media for sharpening chisels. People use sandpaper, ceramic, and diamond stones. I do not recommend using a grinder. Grinders are quicker, but they also heat the blade so the tool loses its hardness which will lead the chisel to need to be sharpened more often and not perform as efficiently. When sharpening, you will need to have a flat surface. 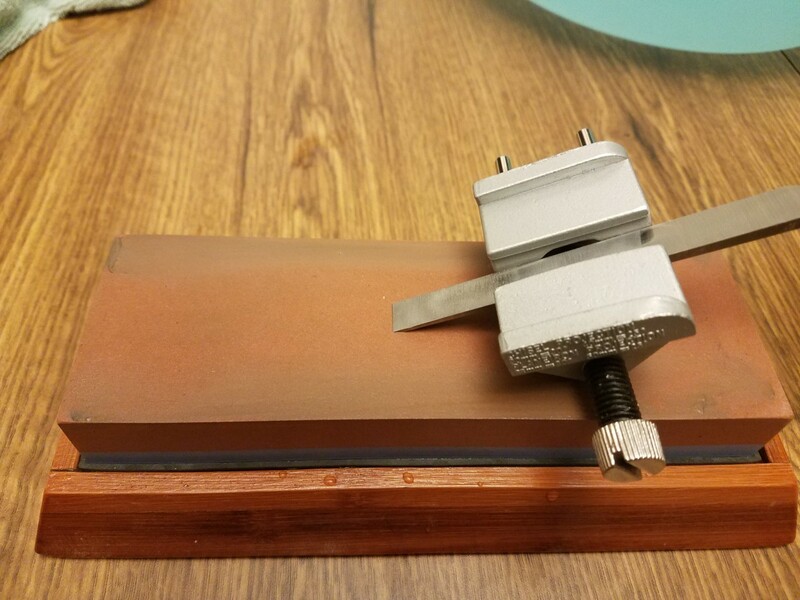 This is one reason that diamond sharpening stones are probably the most efficient (but also the most expensive). Diamond stones don't need to be ground to flat. They keep their flatness quite easily. 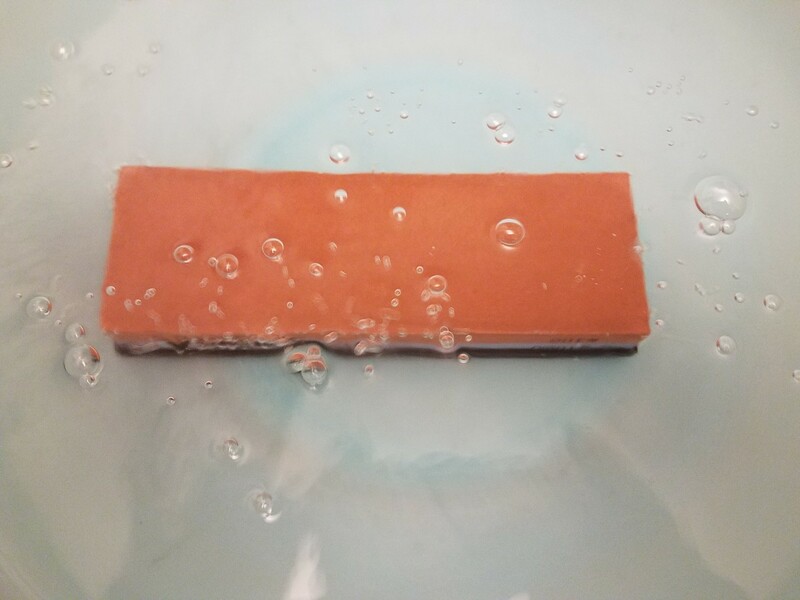 I use ceramic sharpening stones. One does need to be as careful about gauging into the surface because it can be easily blemished. The surface does need to be ground flat for pretty much every use as well. But these stones are much more affordable. With sandpaper, most people use glass or another hard surface that they know is flat. There are even granite stones that are certified to be within a hundredth of an inch of level. Flatness is important for optimal results. The next step is to flatten the back of the blade. 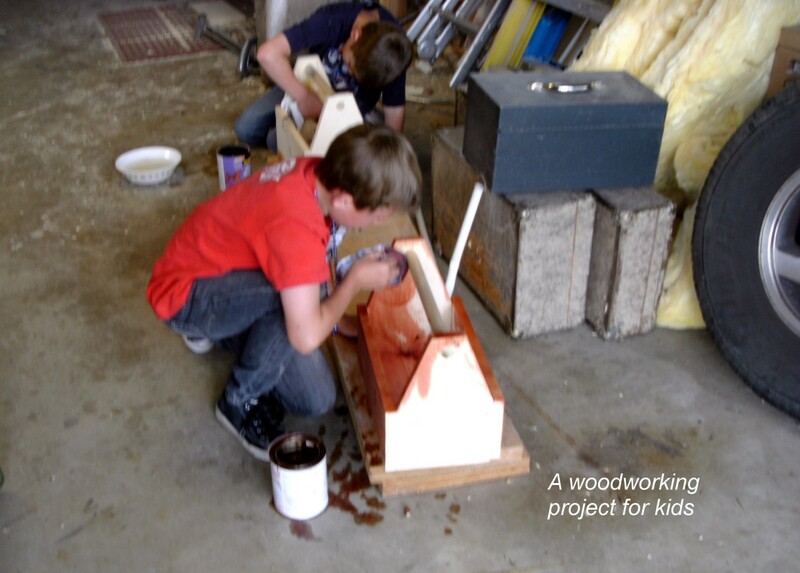 Start with the lowest grit number (or roughest) sanding media you are using. Wet it with a honing oil, water, Windex, or whatever lubricant you desire. Lightly drag the back of the chisel blade back and forth. 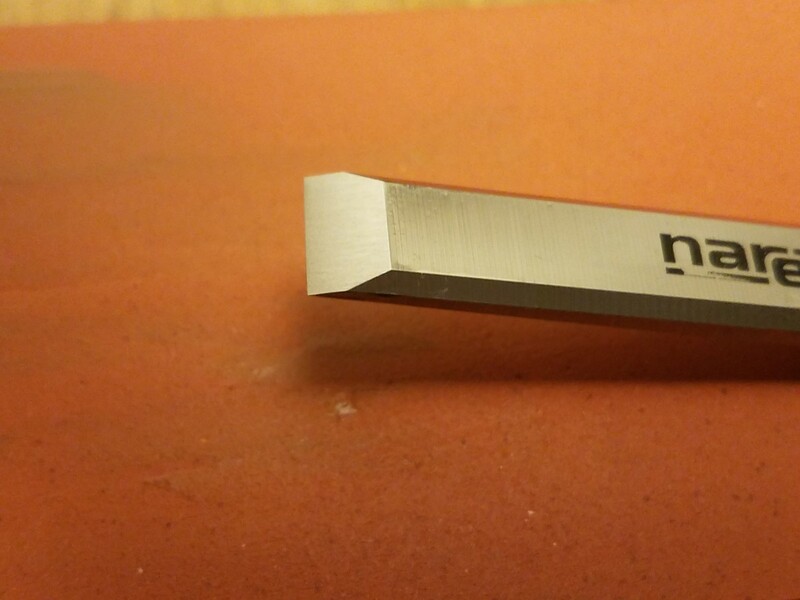 The most important part is the last half-inch (toward the cutting edge of the chisel). There are times when there will be a shallow hollow in the back of the blade. 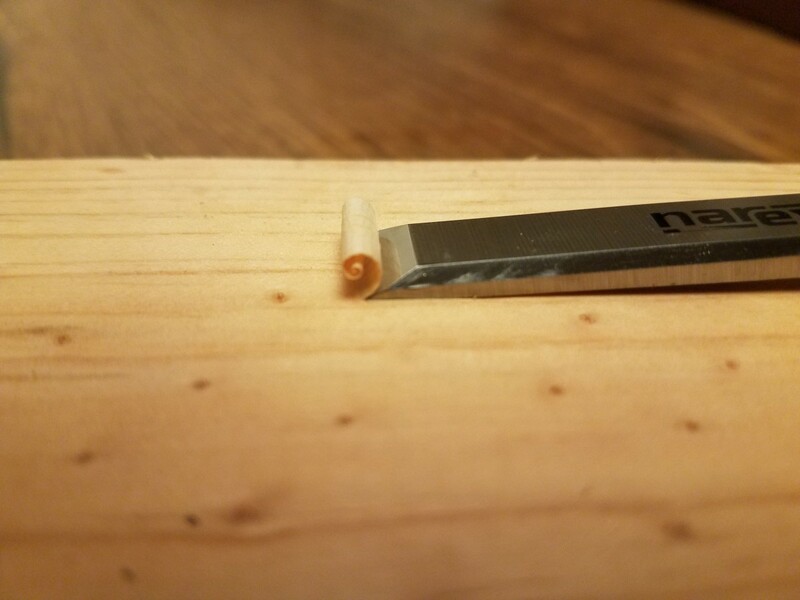 Japanese style chisels have this, to create less contact between the chisel and the material being cut, but other chisels may have this hollow spot because the manufacturer made a mistake. Keep the sanding surface wet and clean of build-up. Depending on the chisel, this may take quite a while. 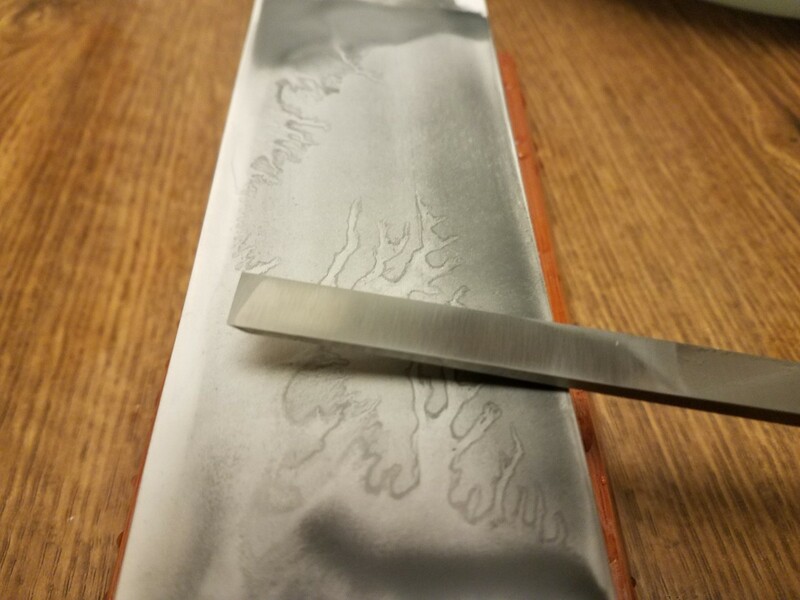 This is the most labor-intensive step to preparing a new chisel. Once the last half-inch is flat, move on to the next grit. I personally go 400, 1,000, 3,000, and end with 8,000. I have talked with people who move all the way to 16,000. Overall, the method is the same for each of these grits and the process moves faster and faster as you progress. 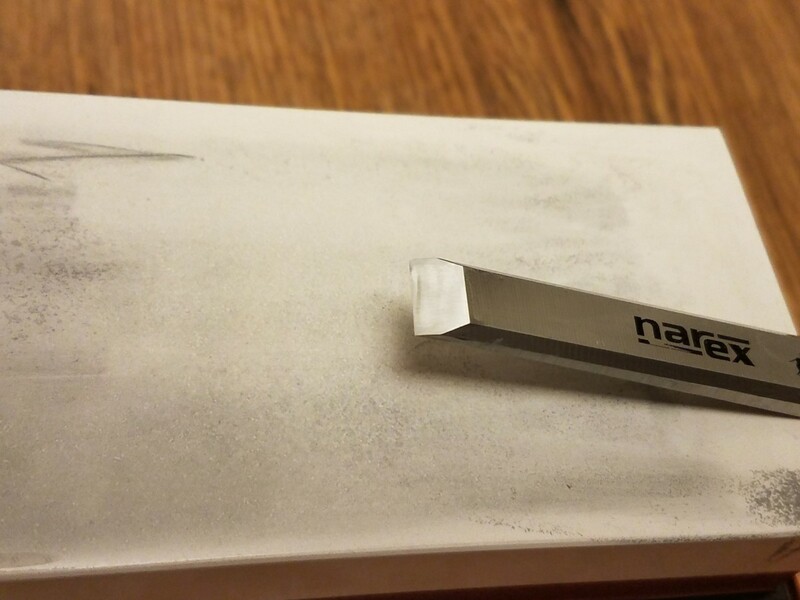 This may one of the hardest steps when sharpening a tool. With this step, you will once again be working from the most coarse to the finest grit. The hard part is keeping the tool at the same angle so the cutting edge is consistent. The purpose is to make sure the chisel is square and the cutting edge standard. The reason you need the same angle is to ensure that the cutting sharpness is the same across the whole edge of the blade. This takes a lot of practice, although there are jigs to accomplish this if you prefer. You will spend the most time on the most coarse grit. The follow grits should only take fifteen to twenty passes. Again, keep the strokes light and let the stone do the work. 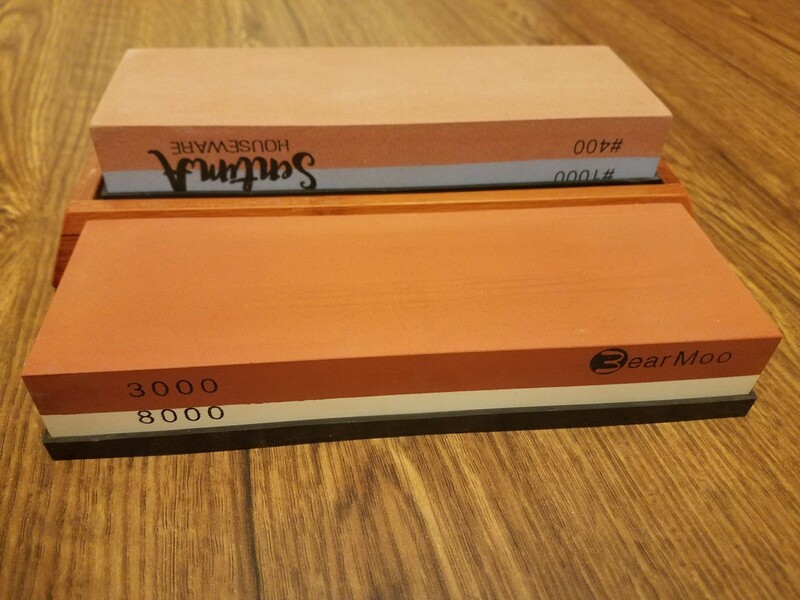 If you push and make an error, you will damage either your stone or the chisel, depending on the sanding media you are using. to be cycled through the grits the first time. Honing and polishing are the last two steps and, hopefully, if you care for your tools, are the only steps you will need to repeat after preparing your chisel. 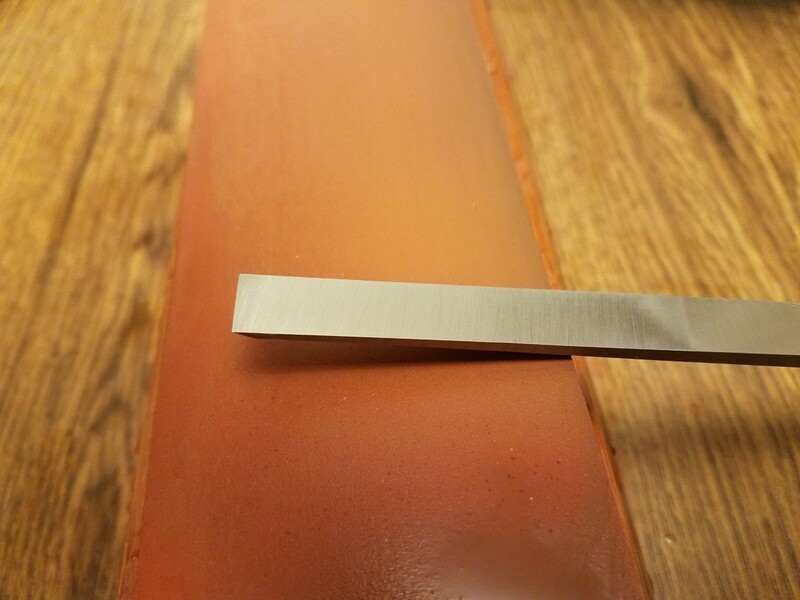 Honing removes a small bur from the edge of the blade that has formed from sharpening. 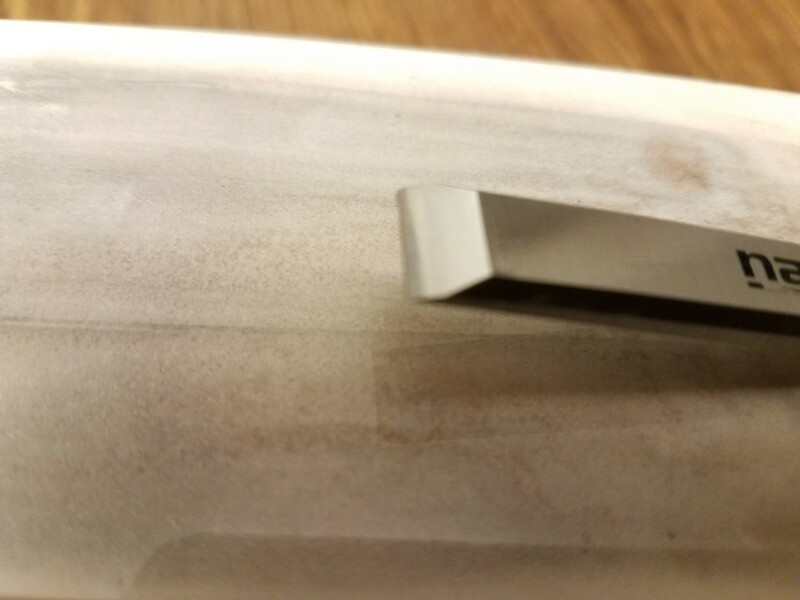 If you run your thumb lightly of the cutting edge (be careful not to cut yourself), you will feel a small roll of steel that has formed on the backside of the cutting edge. 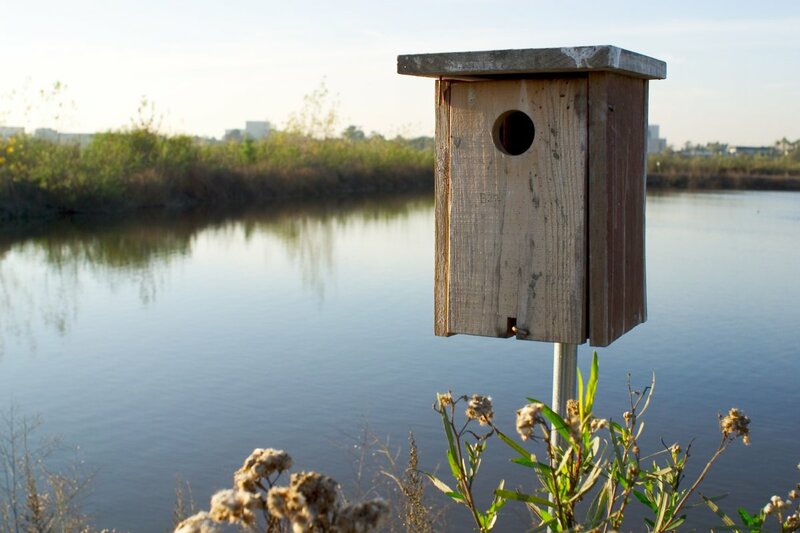 Honing is how we will be removing this. To hone and polish you will need a strop and polish. A strop is a piece of leather. Some people will mount this on a piece of wood. 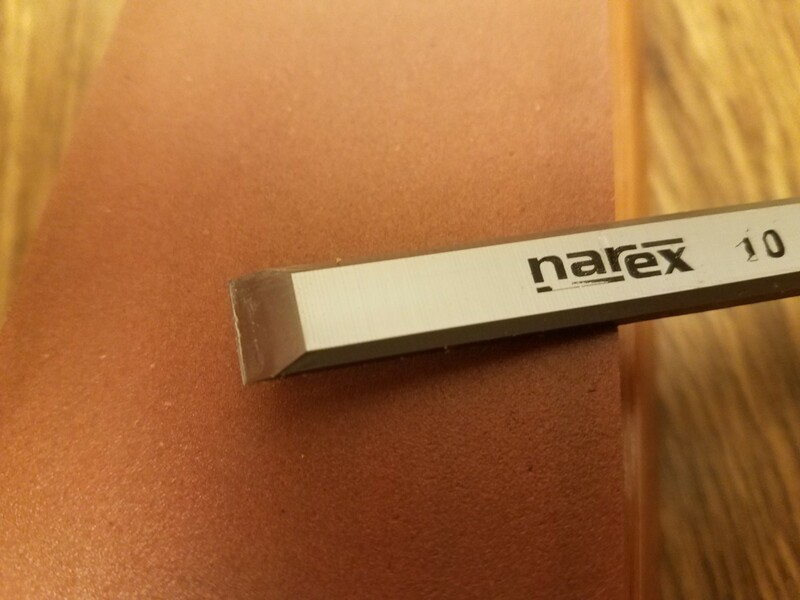 Some people use a piece of wood and only use the strop for polishing. I use this for both. 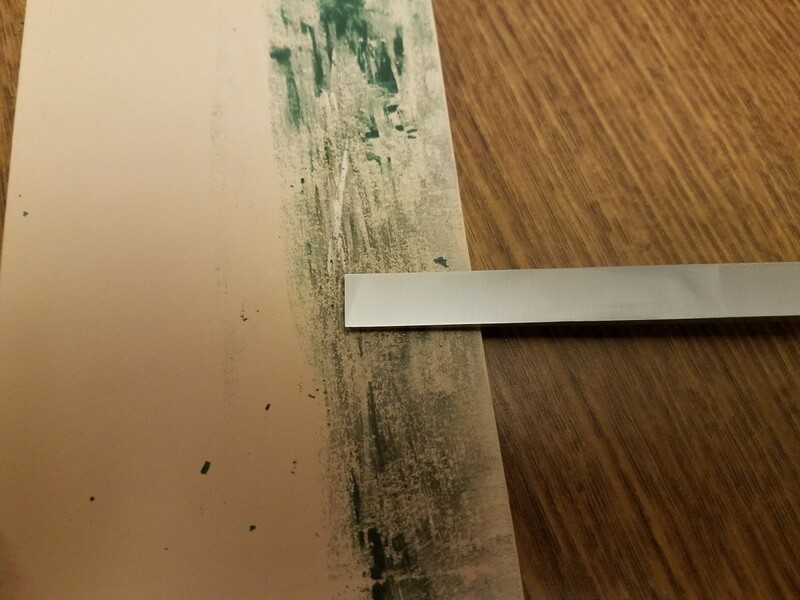 Rub the compound into the strop and work the back of the blade back and forth. 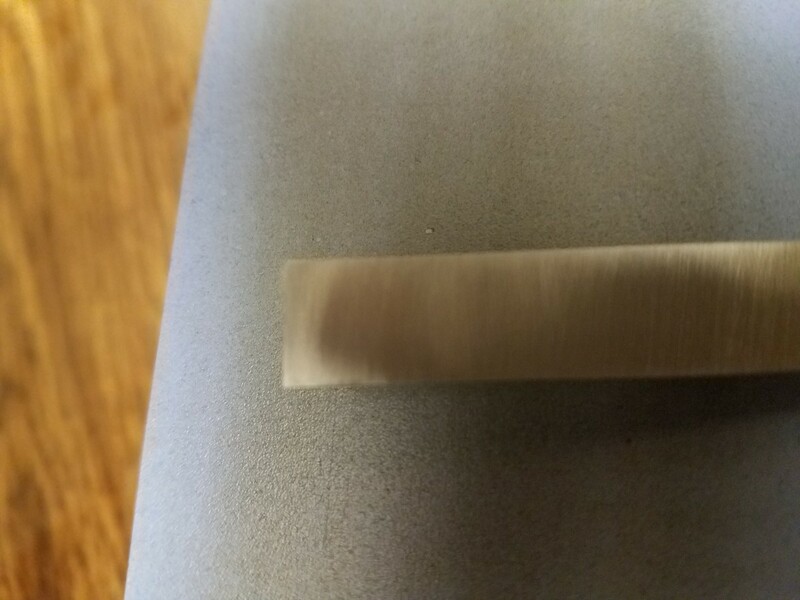 This will remove the fine roll of metal buildup that developed during sharping. 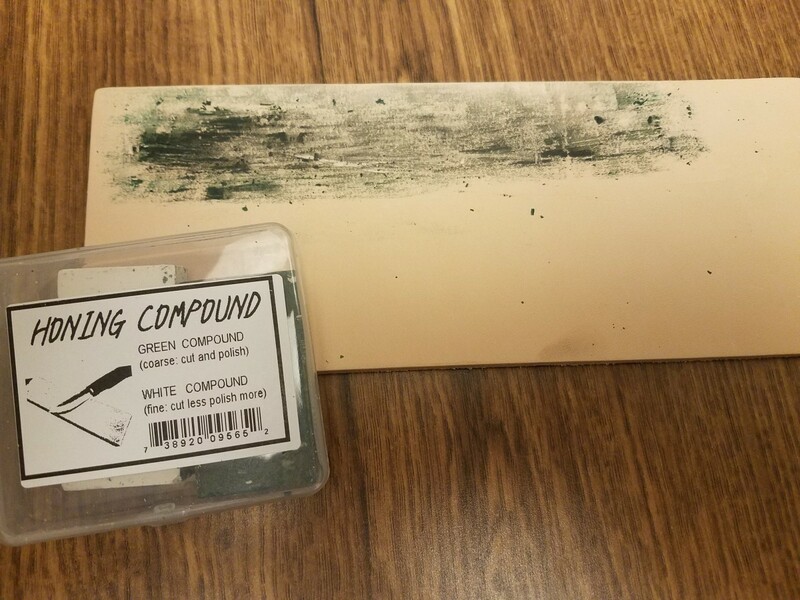 The compound will turn black as you work it. This is what you want. 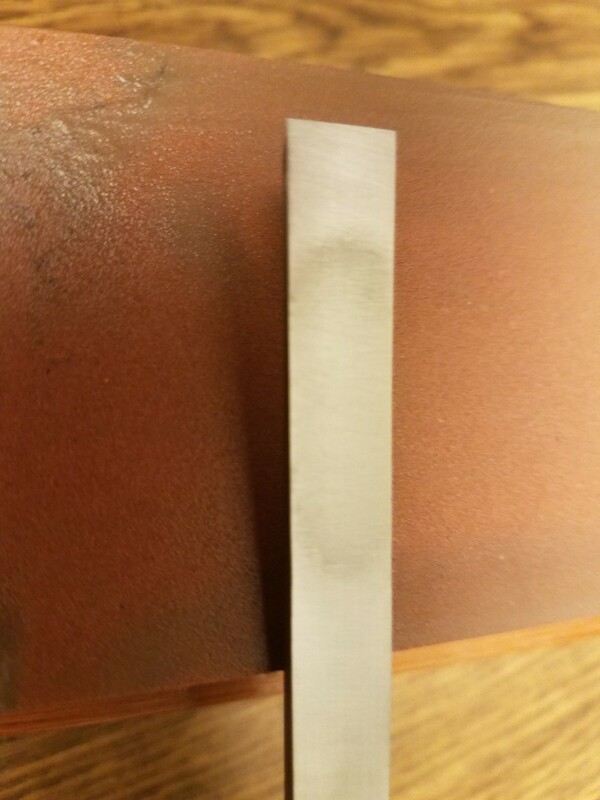 Next, drag the bevel and micro-bevel along the strop. Don't go in the cutting direction. 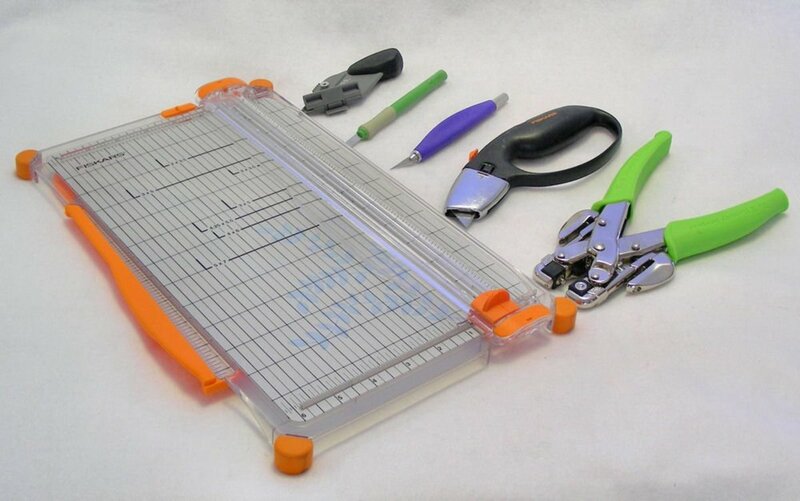 Have the cutting edge trailing and put your weight into this. The leather will give you some cushion and will also help you work quickly. When you are done, this should be a mirror-like surface. Removing the bur gives you a fine edge for cutting material. 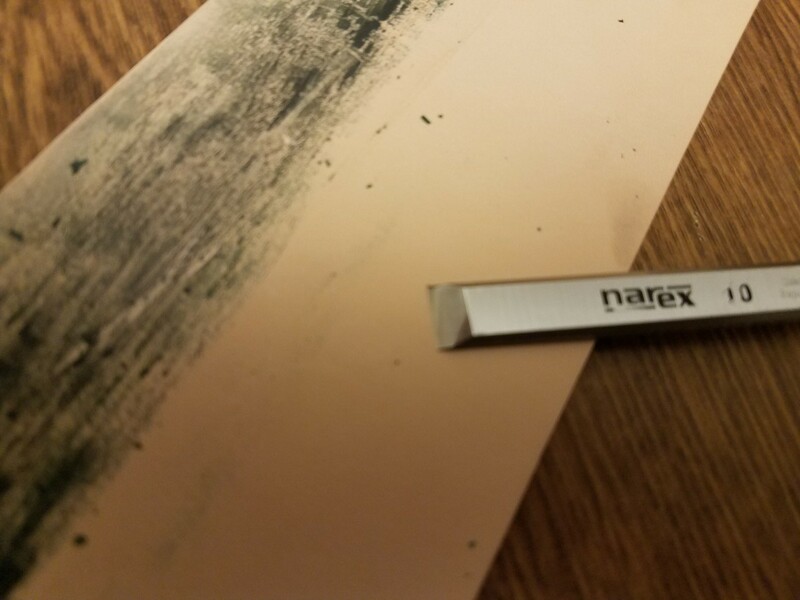 The smoothness of the surface reduces friction and makes cutting easier as well. Both of these steps combine with a square edge to allow for a proficient cutting edge. I appreciate that you took the time to read this and I hope that it has helped. If you have any questions or comments, please leave a comment below. I will respond to it when I can. I will add that the Narex set is a great set to have. 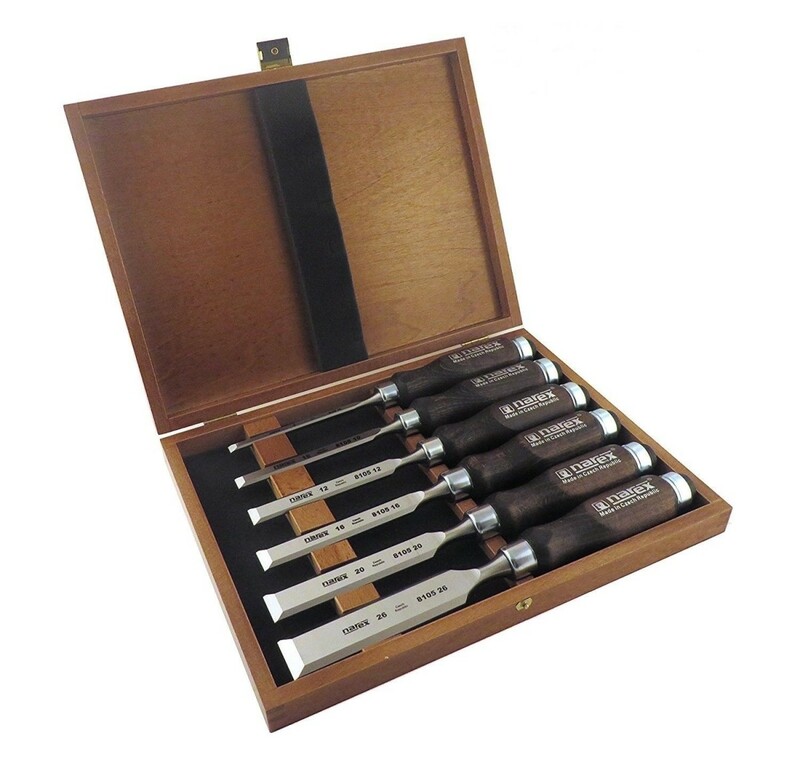 Researching for a great introduction set of chisels led me to this set. The one linked below is the actual set I purchased. The reason I chose them is that this company changed the manufacturing method in order to provide a quality product at a great price. I appreciate when a company evaluates methods and then successfully creates new methods in order to provide a quality product and a low price. This does not seem to happen often. 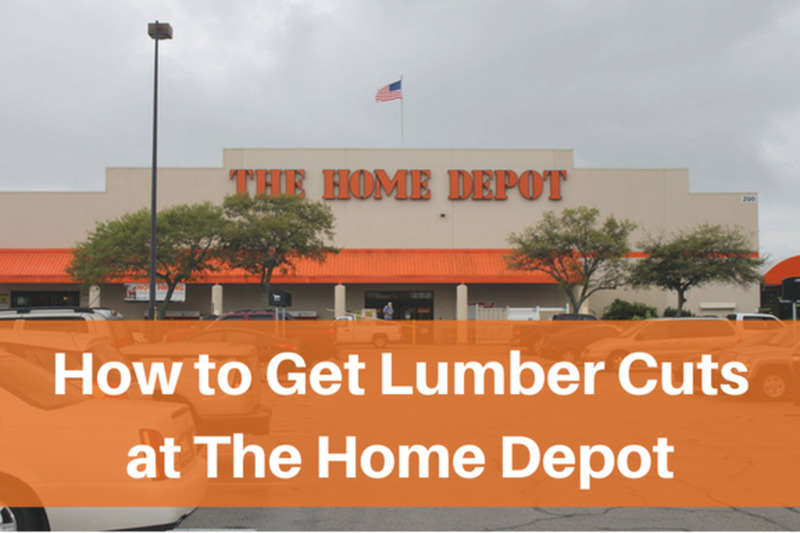 How to Get Your Plywood Cut From Home Depot the First Time! 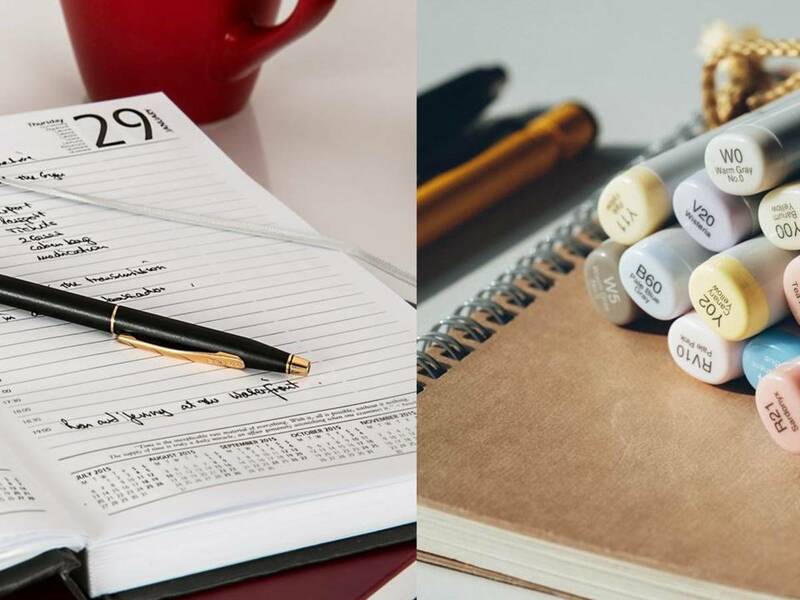 Diary vs. Journal: What's the Difference? 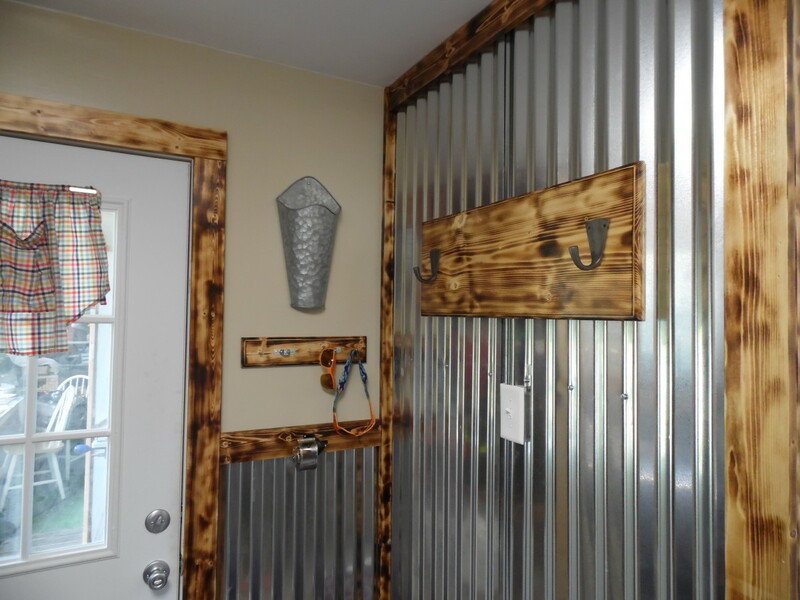 Make New Wood Look Rustic With a Torch!